In the third installment of Aveyard’s widely acclaimed Red Queen series, King’s Cage immediately grabs readers’ attention as they eagerly seek to discover the fate of Mare and her friends after a painstakingly nerve-racking cliff-hanger ending in Glass Sword. Brimming with deception and manipulation, King’s Cage unveils the kingdom’s most dark and despicable secrets that could alter the course of the rebellion and future of who rules the lands. Can Mare escape her imprisonment before time runs out? Will her knowledge bring about a new age? Before I begin, can we just appreciate how Aveyard consistently incorporates the titles in her novels and in the most beautifully poetic way imaginable? I LOVE when authors do this – it gives the entirety of the book a whole new meaning. Dramatic? Probably. Truth? Yes, yes it is. If you’ve read my reviews before, you know what I’m going to say next…this may contain spoilers! Readers beware! I recently finished Glass Sword and finally got around to reading King’s Cage. I usually don’t wait so long to read books in the same series, but I needed a break after Glass Sword. 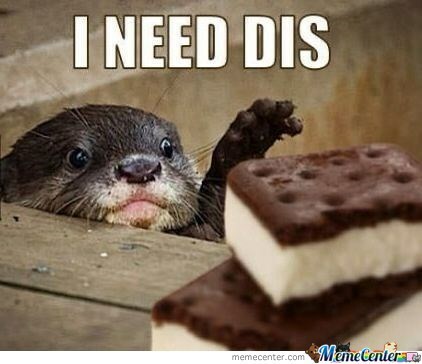 I can confidently say this…WHY DID I WAIT SO LONG?! What was I thinking?! King’s Cage brought this series to a whole new level of intensity. Where Red Queen lacked in information and Glass Sword lacked in meaning, King’s Cage brought it all back and had me eagerly reading until the last page. To be frank, I was shocked. The story and the new point of view format threw me off at first, but I am grateful for these alterations. Let’s go further into these details. To begin, the first two novels were told in the point of view of first person protagonist, the story being told in the eyes and mind of Mare Barrow. In King’s Cage, Aveyard shakes things up by adding two more points of view: Evangeline and Cameron. The story is still 80% in Mare’s point of view, but the addition of Evangeline and Cameron’s views throughout the text was really interesting and honestly well needed. The story takes places mainly around Mare’s captivity, thus she’s away from the Scarlet Guard and all the other characters. Going back to Cameron every so often was a tremendously smart move, as it gave some insight into how Mare’s friends and family are taking her captivity and what is on the agenda for the Scarlet Guard. Having some chapters focus on Evangeline was truly remarkable, especially since she’s one of Mare’s main antagonists in the novel. We receive insight on the opposition, in addition to details about Evangeline’s life. Aveyard perfectly places these intermitted chapters, giving us a break from the horrors Mare faces and preventing readers from becoming bored of her story in captivity. More on the topic of the story, I thought I was going to become rather bored, simply because Mare is held captured for more than half of the novel. However, I found this extremely exciting! It was the perfect setting for both Mare and readers to learn about the Silvers’ plans, the state of the kingdom currently, and how the crown has been manipulating the citizens with their propaganda and story-telling. The remainder of the story goes through the next phases for both Silvers and their different alliances, in addition to the Scarlet Guards plans after they’ve made new comrades and deeper alliances. The ending sets the stage for what I expect to be a magnificent final book to the Red Queen series. The characters…they are wonderful! Unfortunately, most of Mare’s friends and family don’t appear until the last parts of the book. Yet Aveyard gives more insight into the opposition, feeding us with more information on King Maven’s past, Evangeline’s personal agenda, Cameron’s complicated situation, and other elements that thoroughly develop both major and minor characters. The biggest transformation was Mare. She both changes yet remains Mare. Her captivity makes her question many things, specifically her actions and the steps she’s taken in order to help the New bloods. The torture, the agony of being away from her loved ones, the endless days and nights of silence…it brings Mare a whole new realization that her inward nature has caused her to isolate herself, and that her method of helping Reds and New bloods were not always the most appropriate. It makes her even stronger than she was in the first two novels. My only disappointment is that I felt her friends and family were way too hard on her in Glass Sword, thus some of these people should have cut her some slack and apologized as well. Mare grew from her mistakes, but her friends and family were let off too easily in my opinion. Just like Glass Sword, I love the moral ambiguity that happens throughout the story! There really is no good or evil; evil people do good things, and good people to evil things. All the characters struggle through this, especially King Maven. After learning his story, I now really question how Aveyard is going to handle his character for the final installment of the series – no, I’m not telling you why…you have to read it yourself! And that ending though! I wasn’t expecting that! I had a hunch but I then I figured there was no way Aveyard would do that…I was clearly wrong. It was such a heart-breaking final chapter, which made me royally peeved that I have to wait until 2018 for the final book! If there’s some sort of apocalypse before the final book comes out…I’m going to be furious! One final thought that I greatly appreciated is how the characters felt real. During one of the battles near the end of the novel, Aveyard presents the characters as not completely flawless and not without their fears. Cal and Mare are known for their bravery, but even they struggle to maintain courage during the battle. I really dislike reading books where characters show no signs of fear or anxiety since it is rather unrealistic. Aveyard dismisses this worry for me as she brings to light that though heroes are magnificent and brave, they still have fears of their own. King’s Cage was a phenomenal story, exceeding my expectations immensely. The introduction of new players in the rebellion, learning more about certain characters, the moral compass that never points North properly, more insight into the politics and alliances among the kingdoms and the rebellions…it just creates this intense and electrifying atmosphere that has you desperately reading until you reach the final chapter! 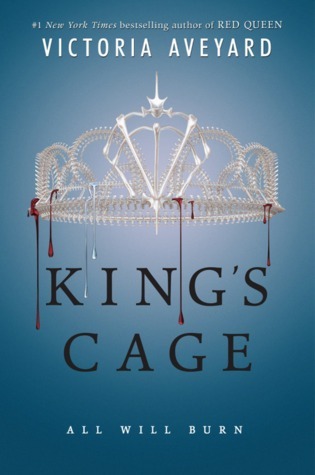 If you liked Aveyard’s Red Queen and Glass Sword, I have little doubt in my mind that you’ll dislike King’s Cage. I haven’t read this series yet but I will definitely add it to my TBR list! Sounds really interesting. It’s pretty well done! The first and third book I sped through! Oooo. Might need to add this. You should! I would love to see your review on it. Though I’m sure your review list is already gigantic XD But I’ve heard good things about it so far. I’m glad she made her debut. I didn’t know if she was going to move in the novel direction or not.